Windows 10 by default automatically adjusts background color for start menu application icons and taskbar application icons depending on color shade of current desktop background. For example -If you have desktop background with blue shaded picture, Windows 10 will set ascent color to blue, or if you have grey shaded desktop background picture, ascent color will be set to grey. 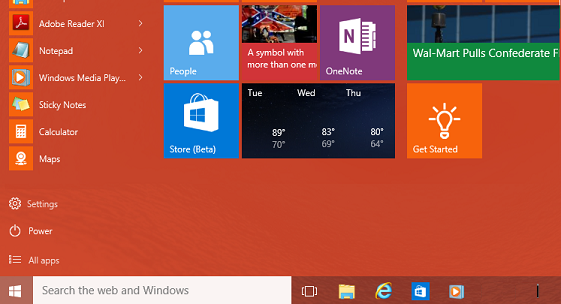 Windows 10 also makes start menu as transparent by default. If you want to change default color of your start menu, or make it non-transparent Windows 10 provides easy customization options for this. In 'Choose your accent color', select any of your favourite available color as new accent color. In this example we are setting 'Orange' as new accent color. 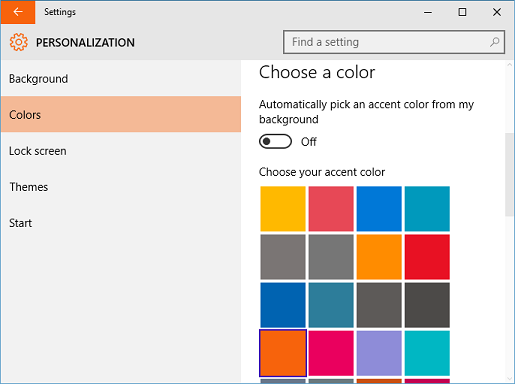 Once you choose new color, this accent color will be used as start menu application icons and live tiles background color. Once you change accent color to your favourite color, you can also set start menu, taskbar and action center background color to your new accent color by setting 'Show color on Start, taskbar and action center' to 'On'. 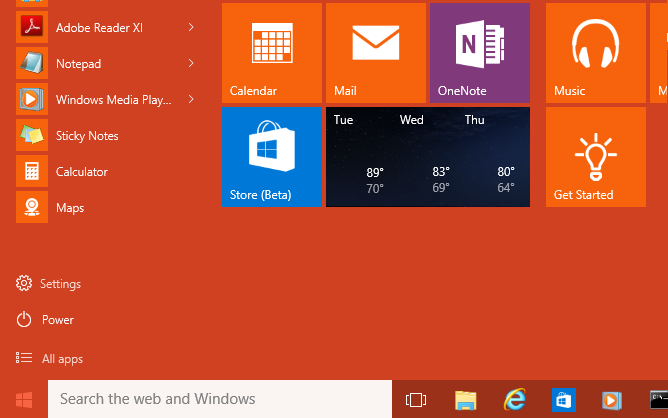 You can notice that start menu, taskbar, and action center background color immediately changes to newly selected color. 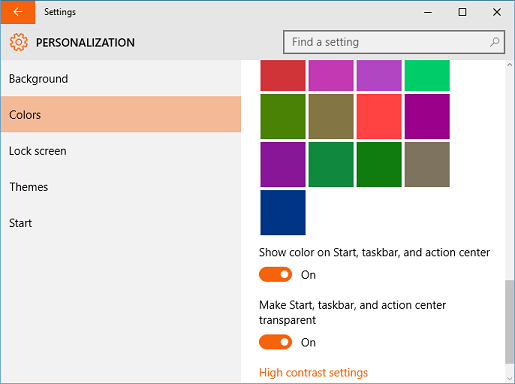 Using Windows 10 color customization settings, you can easily update colors on your start menu, taskbar, etc.. to your favourite colors.